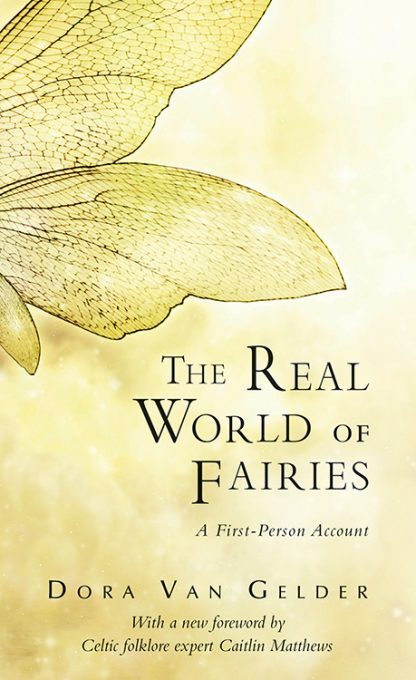 The Real World of Fairies is a privileged glimpse into a joyous, animated universe. Dora's enchanting vision of her encounters with the fairy realm delights the child in us, while it excites our grown-up imagination, rekindles our creative energy, and deepens our sense of connection with nature. This new edition features a foreword by Celtic folk expert Caitlin Matthews. Caitlin's personal experiences and deep knowledge of the fairy world resonate brilliantly with Dora's, adding a fresh perspective for contemporary readers. Caitl�n Matthews is a world-renowned author and teacher of the Celtic and ancestral traditions, tarot, and divination and the author of over 70 books, including Singing the Soul Back Home, Celtic Visions, Celtic Wisdom Oracle, and The Complete Arthurian Tarot (with John Matthews). She runs her own shamanic practice in Oxford, UK, where she also hosts master classes in the healing arts.